The latest such clip is the unassumingly titled “LG G Flex 2 drop test”. It definitely delivers on its promises, as it starts off with a few quite-likely drops of the phone, first from something close to a meter. Actually, to the presenter’s credit, he does attempt to make at least a few valid points and give a nice damage report. As you might remember, the LG G Flex 2 features a special finish on the back, which the company has often referred to as “self-healing”. Actually, the coating favored pretty well after a few drops, but not even it can prevent denting to the edges. A few more drops from above the head finally resulted in a cracked screen, but the unit remained functional despite the trauma. The phone’s 700mm curve might help its durability, but a glass is still a glass. Enough for the testing part, now it’s time to deliver the punch. 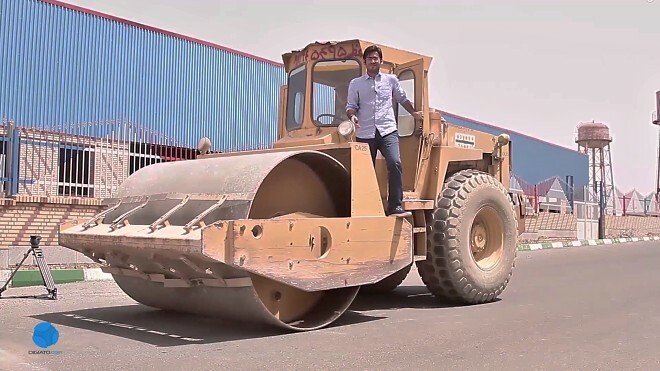 We could argue that running over the phone with a steamroller could yield little to no actual information, yet without it, the video wouldn’t have even caught our attention – so bring on the destruction! You can see the “surprising” results for yourself and there is even a touch of “extra testing” towards the end, which we won’t spoil. And, if you still find yourself hankering for more senseless tech abuse – remember the recent iPhone 6 “bend-gate” saga. Well, we do and here is a highlight. And some more fun coming your way.